I have an overly verbose review today, I hope you don't mind. It's my Soho London/New York (what's with multiple cities?) Beauty Sponge that I picked up when it was on sale at Walgreens a while back. I've really enjoyed using it the last few months and wanted to share my thoughts on it with you. First, the elephant in the room. Hey, this sponge looks awfully like another pink sponge that is well loved in the beauty community! Yeah, it's like a knock off of the Beautyblender. Just like that famous pink sponge, it should be used damp. It expands quite a bit when wet, I use a towel to squeeze out the excess water. 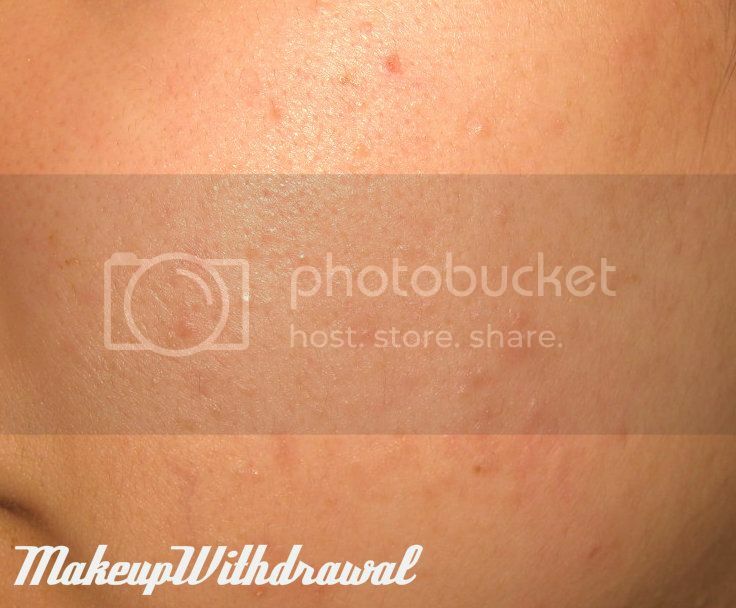 I use the "bouncing" method along with my fingers or brush to apply my foundation. 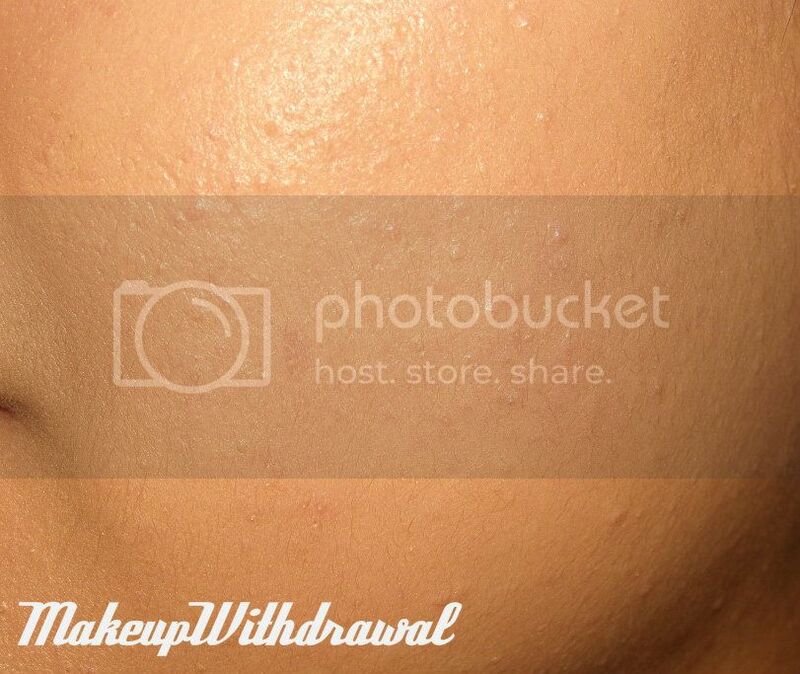 I found that using just the sponge was wasting a lot of my foundation, I'd have to use twice the amount of foundation because it was soaking it up. With roughly one pump of foundation, I use my fingers/ brush to apply the first 3/4 of my foundation using small down and outward strokes from the center of my face. 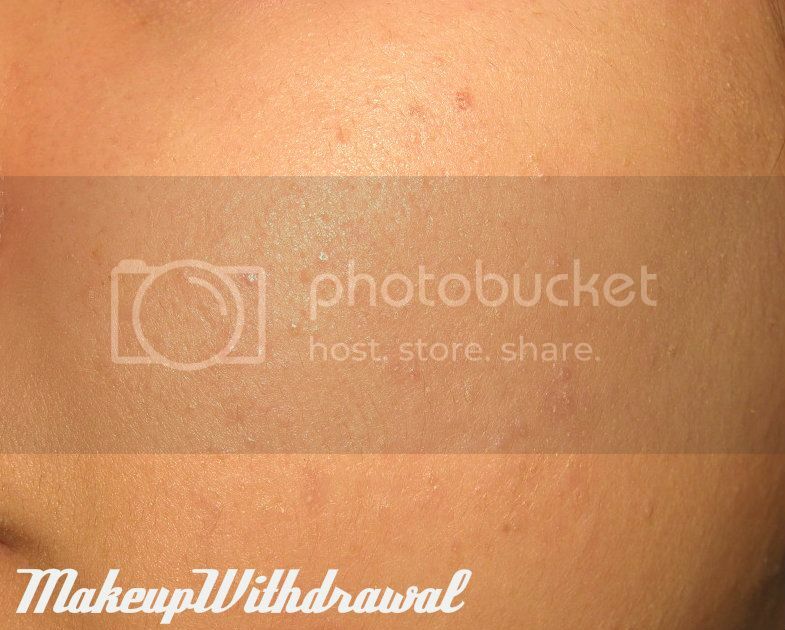 With the remaining portion of foundation, I pick it up with the rounded end of the Beauty Sponge and bounce it around my skin to create a really nice as-flawless-as-my-skin-can-possibly-look finish. Another perk is that the bouncing sort of creates layers, and it's really helped my makeup last longer in the summer heat. Cheek, no makeup. Been breaking out lately because I will not leave cheese alone. Note the scarring and redness. Same cheek with foundation applied with a flat top brush, stipple method. Finally, the cheek with some more foundation bounced on top. My skin looks as good as it's ever going to. With my addiction to dairy, that is. Even if you've already found the "perfect" foundation brush, I still say that you give this sponge a try. It doesn't have to be one or the other! I've found that when I need heavier coverage, I can stipple using a flat top (say like the e.l.f. flat top brush, the Shisiedo Perfect Foundation brush, etc) brush, but use the Beauty Sponge to finish the application for a really great looking finish. This sponge compliments instead of competing with my exisiting brushes. Now, regarding cleaning this thing- be careful! The first few times I used this sponge, I was obessed with getting it squeeky clean and tore the surface a little in my efforts to scrub all the foundation out of it. Now I know that I need to be gentle- completely saturating with water, a few squirts of liquid soap and some light squeezing. I usually have to repeat a few times, but cleaning it slowly is the key to making it last. However, I don't seem to be able to get 100% of the foundation stains out, but I'm ok with a little bit of staining. I've had this sponge for two months now, and other than the damage that I did in the first week, it hasn't worn down much. Now I don't have the original, authentic Beautyblender so I can't compare the two. However, do I feel like I've achieved more than adequate results, given that my sponge was $6(normally $7.99 I believe, but it was on sale). 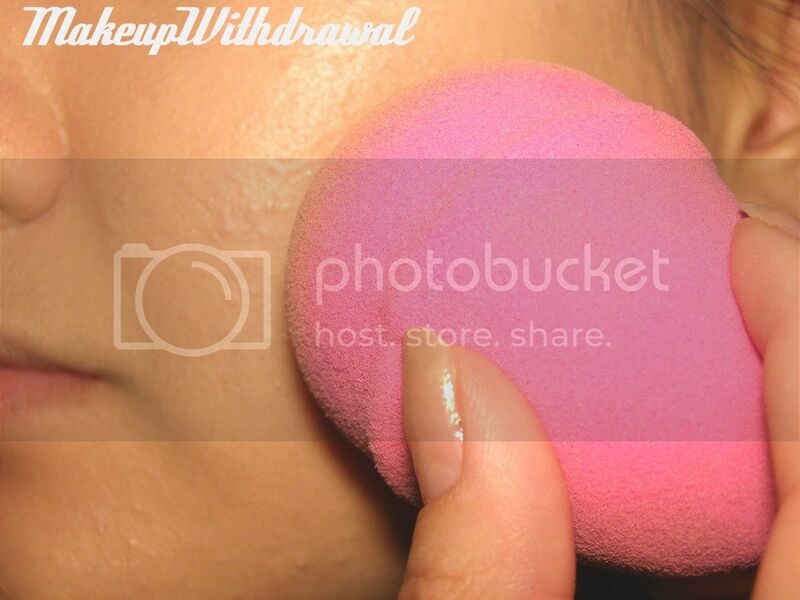 According to the Beautyblender's instructions, it should be replaced every three months. $20 every three months? For that much, I could replace my Soho Beauty Sponge every single month, not that it needs it. The funny thing is that reading through the reviews and questions on Sephora for the Beautyblender, it comes across having the exact same set of concerns ("I washed it too hard, it's starting to rip", "it's hard to get all of the foundation out of the sponge"). I'll go ahead and slap my seal of approval on this sponge. 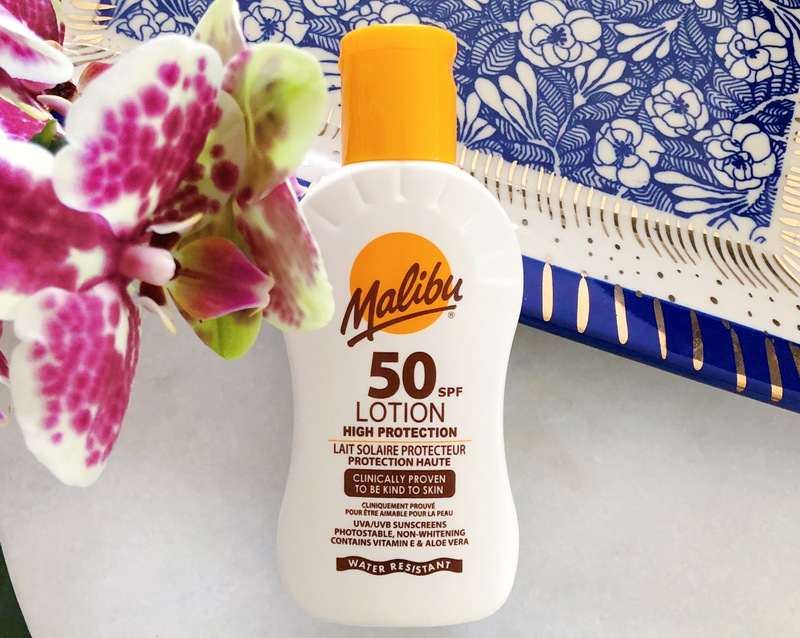 It's a good value and applies foundation exceedingly well. Throw in a sale or some Walgreens rewards dollars, and it becomes an even better deal, next to the $20 Beautyblender. Yeah, it's a blatant knock off. But unlike a pair of sketchy "Loobutins" that one might find for sale in an darkened alley, there's no shame in saving some dough with this cheaper sponge because it works well. I don't have any desire to try the real thing, I'm very satisfied with this more frugal alternative (money saved for said pair of Louboutins, perhaps? I want the classic 120mm Pigalles. Not that you asked or anything). In short, I highly recommend it! One last thing- there's two versions of this Soho Beauty Sponge out there. One that looks like a fat rain drop like mine, while the other one (newer one, I think) has two pointed ends. I'm not sure how they differ, but my experience is based on the one with a rounded side. Have you tried any of these makeup sponges? 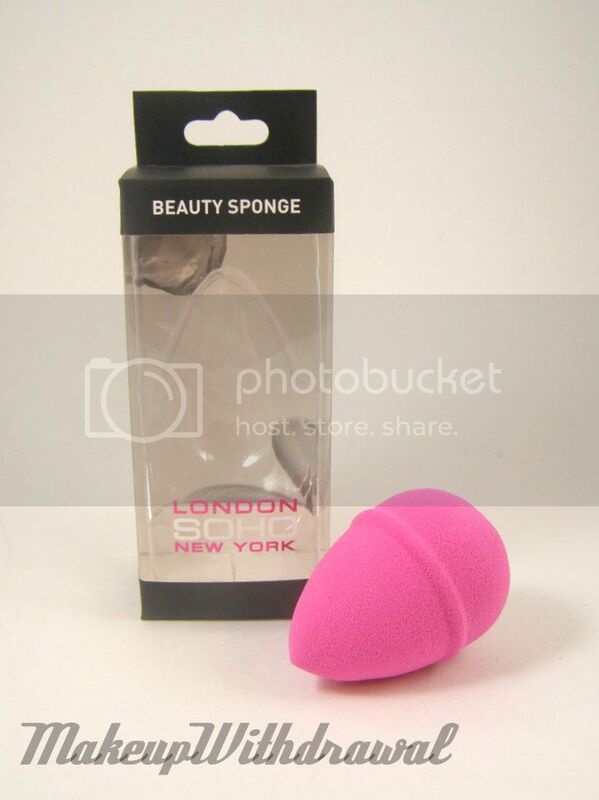 Like the Sonia Kashuk, this Soho one or the original Beautyblender? How did you like it?